ATTENTION NEW CLIENTS! At this time, appointment times from 4:00pm – 7:00pm are reserved for existing clients of Spa Skin Care by Rachel. Appointments scheduled by new clients will be asked to reschedule if scheduled between 4:00pm and 7:00pm. I apologize for any inconvenience this may cause. Follow me on Facebook! Click here. Rachel Buss of Spa Skin Care by Rachel is a Licensed Esthetician and is also Certified in Lash Lifting through Elleebana One Shot Last Lift Training Program. 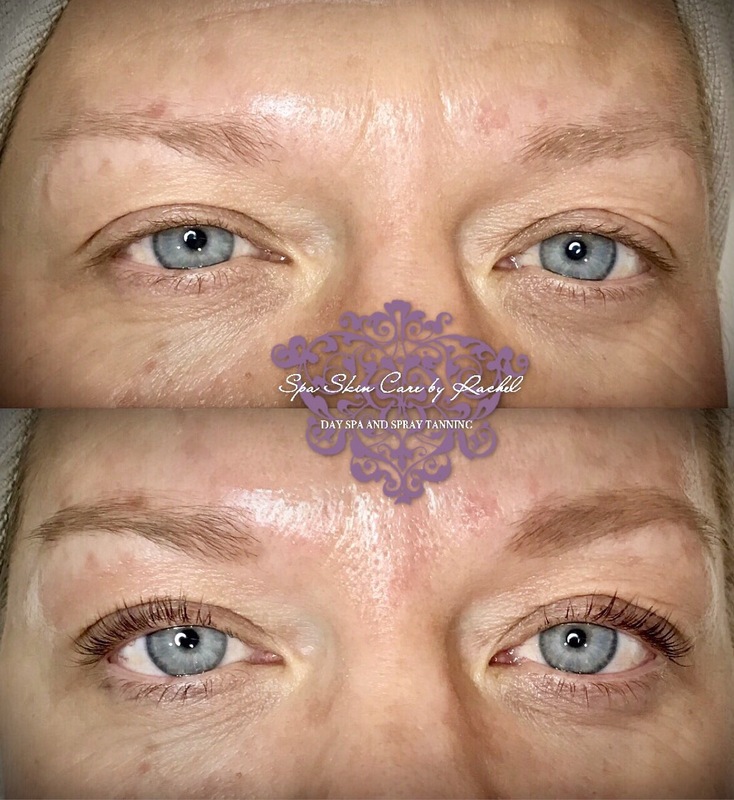 A Lash Lift is a technique that works to perfectly curl and lift your lashes to offer luscious lashes for two months or more! 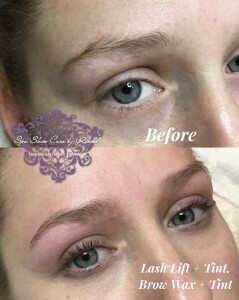 The Lash Lift service can be combined with a Lash Tint, Brow wax and Brow tint to totally transform the eye area. The Lash Lift treatment takes about 45-55 minutes and can last up to 12 weeks even after showering or swimming! No lash extensions, no adhesives, virtually no after care! You are still able to wear mascara to boost your lashes even more after the lash lift treatment! Elleevate Lash Lift Mascara is available at Spa Skin Care by Rachel. This mascara contains Keratin, (a strengthening protein that protects and strengthens the natural lash), Arginine and Biotin which are essential amino acids that also help to heal and strengthen your lashes. This is an everyday mascara that is gentle enough to be immediately applied after a lash lift treatment.